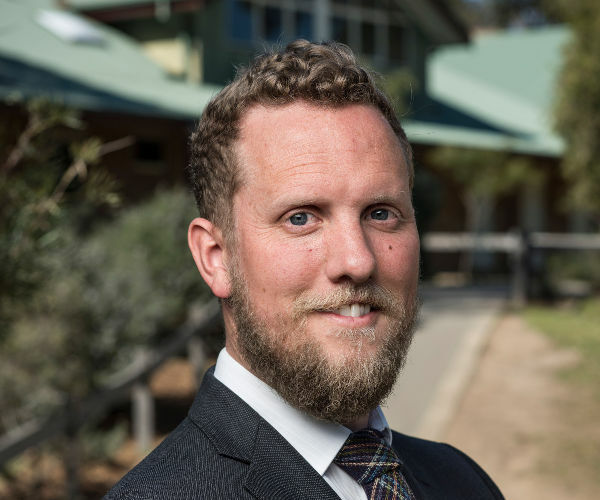 Cameron was Director of Learning Services at St Paul’s Grammar School for 16 years prior to coming to Nepean Christian School. He has a PhD in Modern History and Masters in English and Education. 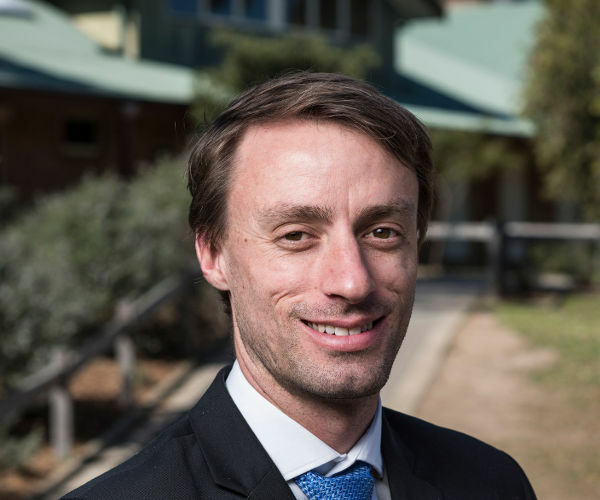 In 2010, he won the NSW Premier’s History Teachers’ scholarship. 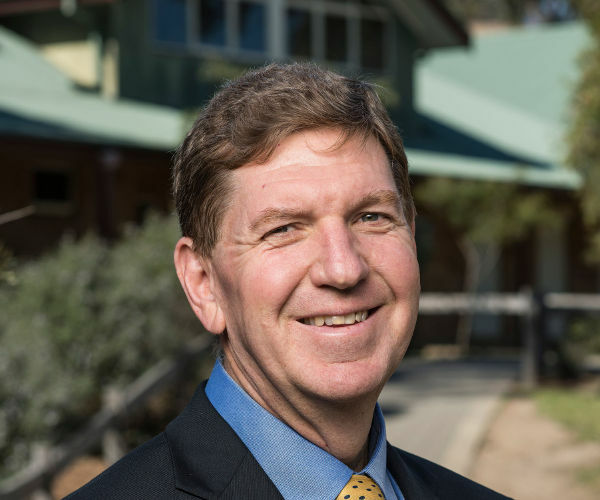 He was an HSC Senior Marker for 12 years and Chair of the Association of Christian School’s English Teachers for 19 years. Cameron has been widely published in national and international scholarly journals. He is also a published novelist, poet and textbook writer. 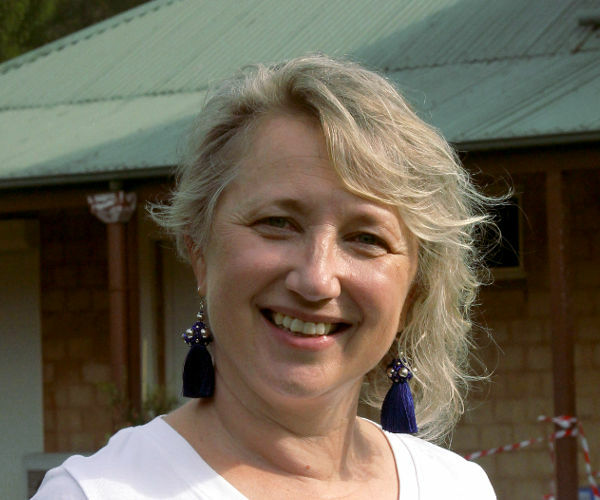 Cameron has been shortlisted for a range of state and national writing awards. He has lectured both in Australia and internationally. Cameron is a passionate golfer and can often be seen next door, at the golf course, with students, teaching them the joys of chasing the little white ball. It’s a joy to lead such a wonderful and vibrant community. I’d been involved in Christian schools for more than 30 years, but coming to Nepean some years ago was like coming home. We do things a little differently from other schools and that starts from the principal. I lead a community rather than run a school and that means my passion is for people over paper. I love getting amongst students and families, teaching, visiting classes and spending time in the playground. I’m also passionate about Christian faith and ensuring that everything that we do aligns with what we believe. I’m an absolute believer in growing students to be lifelong learners, community leaders and servant-hearted carers. The result is authentic and adventurous learning, in an environment where kids are loved and encouraged to be all that God has made them to be. For me, being a member of the Nepean Christian School Community is just like being part of a huge extended family. And just like any family, different members have different roles. As a Maths teacher, I’m a puzzle-solver; as a Deputy Principal, I’m also a puzzle-solver. 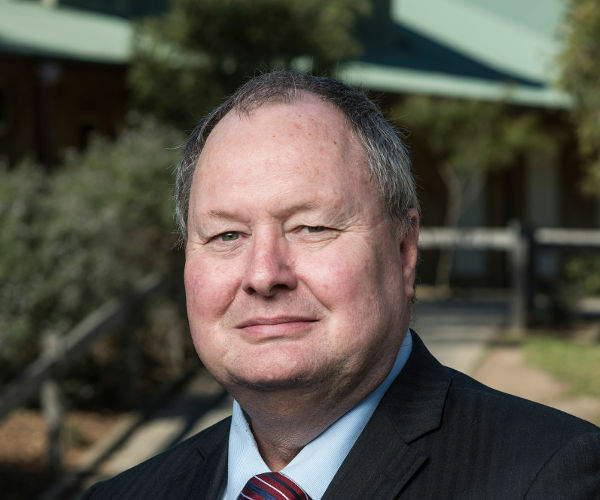 My role as Deputy Principal (Programs) is to make sure that the organisation and structures of the school are working well so that students can learn to their best and teachers can teach to their best. I love the challenge of getting all the pieces of the school to fit together snugly, so that Nepean can be a place where Christ is glorified and students are loved and stretched. Nepean is a unique school, full of extraordinary relationships and adventurous learning. I take pleasure in our rural setting. The grounds are frequented by cows, sheep, bellbirds and green frogs. However, my passion is for our people. Students, staff, parents and grandparents; our community thrives because Christ is at its core and we know to relax in His grace. I enjoy working in an environment where rich and long-lasting relationships are forged and where people are transformed by God’s word. Welfare is at the heart of my Job description. When things go wrong, I’m often behind the scenes, doing my part to help restore relationships and working to prepare our students for life beyond school. I see this as a tremendous privilege. I love working at NCS. It is a place that holds Christ dear, in all that it does. I have worked in Christian Education for 9 years and am passionate about seeing curriculum and Christianity being taught in deep and thoughtful ways. My role in the school is to lead the Secondary School team in this challenging area. I want every learner to be engaged and grow, in the full sense of the word and in all areas. I love being in the classroom and working with teenagers and it is my desire to see them become people who love learning. I also love working with parents and families as we partner together to see children receive a holistic education that must include Christ. For more than two decades, I’ve had the privilege of teaching and leading in Christian schools. My hope has always been that I might nurture and guide others as I was nurtured and guided as a student in a Christian school. I’m passionate about seeing kids grow and flourish. Our classrooms are wonderful places of engagement and creativity. I want the students I encounter to know they are loved and to enjoy happy and positive interactions with their peers. At Nepean, we are a family, who share a vision to see God glorified in all aspects of life and learning. Our rich community is built on strong relationships, with parents and teachers working together in partnership. It’s a joy to be part of a school where we openly celebrate God’s goodness to us. Allie has a wide background in the area of Science teaching, with more than 25 years as a teacher and leader within Christian schools. She holds a Master’s Degree in Education in the area of facilitating better professional learning within schools as well as in the area of building teacher capacity. She is an adjunct lecturer at the National Institute of Christian Education as well as a content and curriculum provider for the organisation PeaceWiseKids. 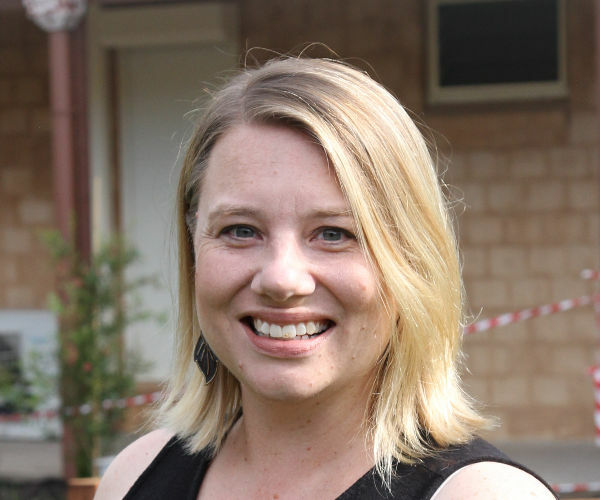 Allie is a regular presenter at conferences on Christian education and brings a wealth of experience to her role. As Head of Teaching and Learning, she is responsible for ensuring the strength of all aspects of classroom teaching across the school. I have been working in various educational fields for over 25 years and at NCS I am able to unfold my passion for developing a partnership in nurturing teaching and learning. We are taking students on an exciting learning adventure designed to challenge thinking and stretch capacity so that students can have so much more capability than they currently imagine. My role is to empower staff to develop teaching methods, underpinned by research into ‘what works in the classroom’ and from a Christian perspective. I want our students to have every opportunity to display their many varied gifts in service to others. My hope is to equip and encourage both students and teachers to love learning in all areas of life so that God may be glorified. Working as a Business Manager in an independent school was not at the top of my career goals when I started in Finance. However, it is both a privilege and a joy makes to be able to apply my skills in a setting where we impact the lives of our future generations with the gospel of Jesus Christ. Being more of a “back room boy” I do not get a lot of opportunities to meet the wider school community but the opportunities I do get are treasured moments. My hair may be thinner (and greyer!) but managing our resources to provide the best possible education for our kids is a challenge I live for every day. In the words of Postman Pat, “I think I am a very lucky man” to be part of the NCS community! As a parent-governed school, Christian parents who subscribe to the statement of faith can apply to become members of the parent Association. It is the responsibility of the Association to ensure that the school remains strongly connected to its Christian mission and vision. The Association annually elects directors to the School Board, who are legally responsible for the governance of the school, for making financial and planning decisions and for the appoint of staff. This rich involvement of parents in the education of their children set parent-governed Christian schooling apart from other forms of faith-based schooling. Meet our principal, Cameron Nunn, for a school tour, and see what our school has to offer your family. I'd like to find out more about life at Nepean Christian School.